This BB gun replica of the legendary German pistol will not disappoint you! 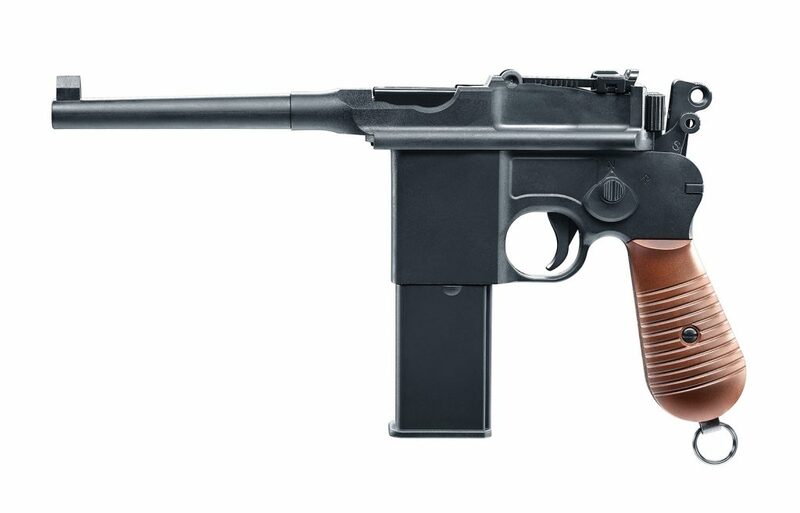 There were several variations of the C96 (also known as the Broomhandle Mauser)- and this is a copy of the Schnellfeuer (German for fast or rapid fire) version of the C96- which was produced from 1932 to 1936. How long have you waited to get a C96? Load it with CO2 and steel BBs- pull back the charging handle on the end of the bolt and commence to shootin’!